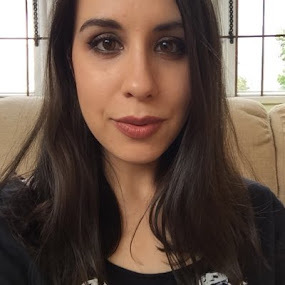 A long time ago, I tried out the Beauty Blender Solid Cleanser to clean my makeup brushes and whilst I liked it, I thought it was way too expensive to keep using on a regular basis. 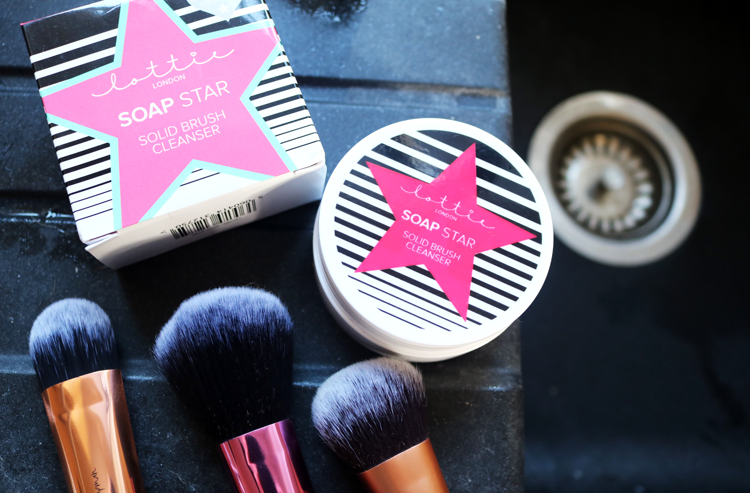 Since then, I've stuck with my ever faithful Dr Bronner's Liquid Magic Soap, but when I saw the new Lottie London Soap Star Solid Brush Cleanser I decided to give it a whirl for a change. Cleaning make-up brushes is one of those first world problems/chores that all us makeup junkies simply have to do. I try (try being the optimum word here!) to properly clean my brushes once a week, usually on a Sunday, simply because I have blemish-prone skin so I like to keep the brushes that are touching my skin on a regular basis as clean as possible to prevent any associated breakouts. Makes sense right?! 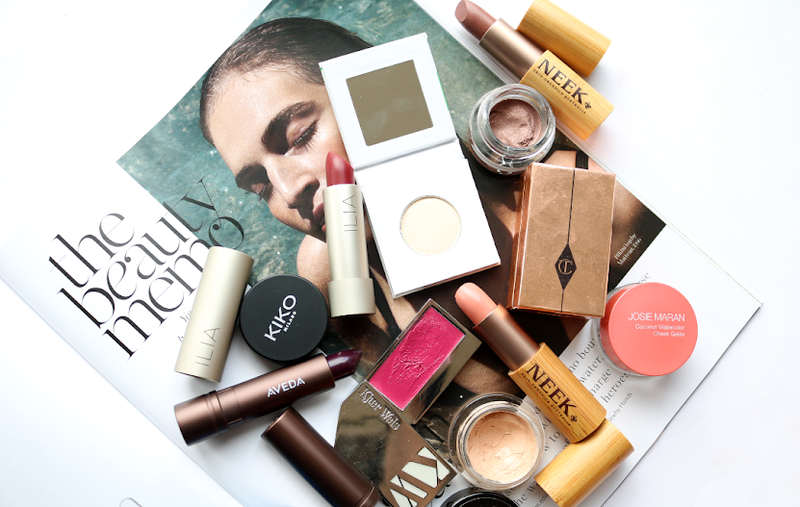 There are a million and one products that you can use to clean your makeup brushes with and the debate roars on as to which is the 'best'. My advice? Try a few and see what works for you and your brushes. 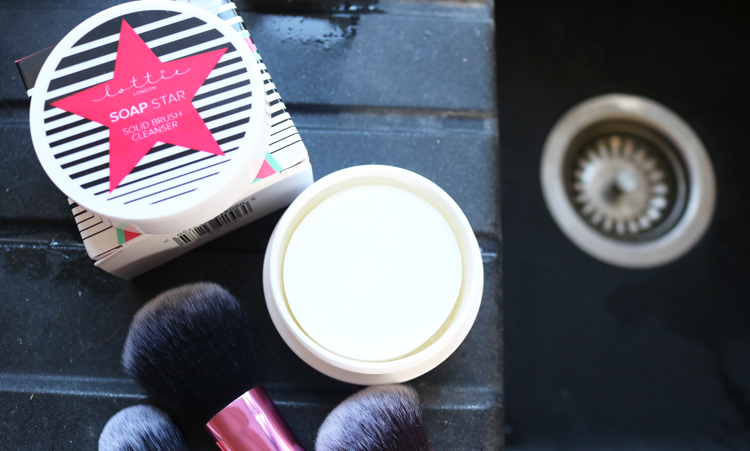 Lottie London's Soap Star Solid Brush Cleanser launched last month and it's pretty damn good. Essentially, this is a round, solid soap which comes packaged in a small plastic tub. The soap features ingredients such as Coconut Oil and Shea Butter to both effectively clean your makeup brushes, whilst keeping their bristles soft at the same time. To use it, you simply add a little water to the soap and rub your brushes thoroughly over it, which creates a foamy lather. Rinse your brushes, gently squeezing the bristles to remove any excess cleanser. If you're washing stubborn makeup like waterproof/heavy duty foundation from your brushes, you may need to go back to the soap and repeat the process a second time to ensure your brushes are squeaky clean. After you've finished cleaning your brushes, wipe the soap clean and let it air dry. I've found Lottie London's Soap Star to be just as effective as my old favourite Dr Bronner's Liquid Magic Soap for cleaning my brushes - they're left clean, soft and with no tackiness or residue. 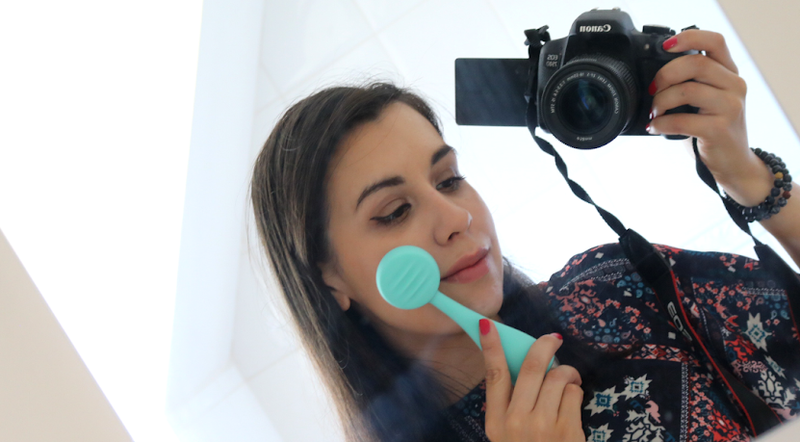 If you're looking for a budget friendly dupe for the Beauty Blender Solid Brush Cleanser, this is definitely one to try out! What do you use to clean your makeup brushes? Brush Soaps are amazing i have the enkore makeup one and have had it for years now it doesnt seem to be going anywhere! I love the sound of these and the fact that they are affordable and available at Superdrug. Will definitely pick some up next time I'm there! I've been using Dr Bronners too but this does sound good. I use Dr Bronners Liquid Magic Soap and love it though I like the sound of this too! I was worried with it being a solid soap it would leave a tacky residue but it sounds great!